Inspired by fashion, but built for motorcycle protection, the Alpinestars Soho Gore-Tex Boots offer another option in the AStars lineup that will keep you safe on the bike, but look excellent under a pair of jeans walking around town. Alpinestars has carved out one of the most paramount reputations in the moto gear industry thanks to their consistent delivery of top-notch products for all realms and styles of riding. 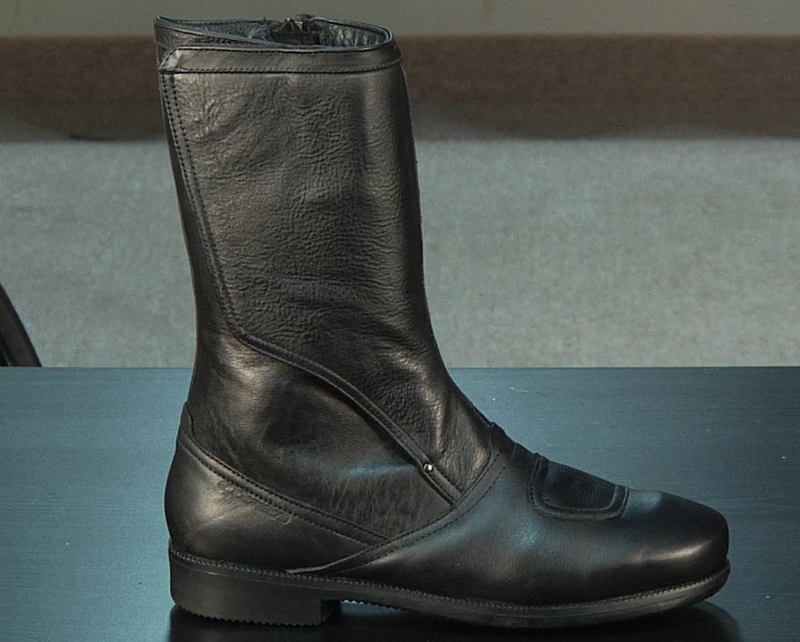 The Soho Gore-Tex Boots are no different and will definitely appeal to the rider who doesn't like the entire world to know he just hopped off a motorcycle. The shell of the Soho Boots is a premium full-grain Italian leather that is soft and supple and inspired by the fashion world. Backing this leather is a fully waterproof breathable Gore-Tex membrane that is guaranteed for life. If this boot ever springs a leak, contact us, Alpinestars or Gore-Tex, and the boot will be repaired or replaced with no questions asked. Gore-Tex is serious about their waterproofing and breathability, and they stand behind their product for life. Internally, the moisture-wicking comfort liner will keep your foot cool and dry all day long, and the velcro-and-zip closure is backed by a Gore-Tex gaiter to guarantee the waterproofing remains in tact. In terms of protection, this boot has everything needed to keep you safe during all sport touring and commuting scenarios. There is reinforcement in the heel cup and toe box in addition to double density injected TPU protectors that can be found layered under the leather at the ankle, medially and laterally, in addition to a double density TPU shin plate to protect the common footpeg-to-tibia bone break in a get-off scenario. 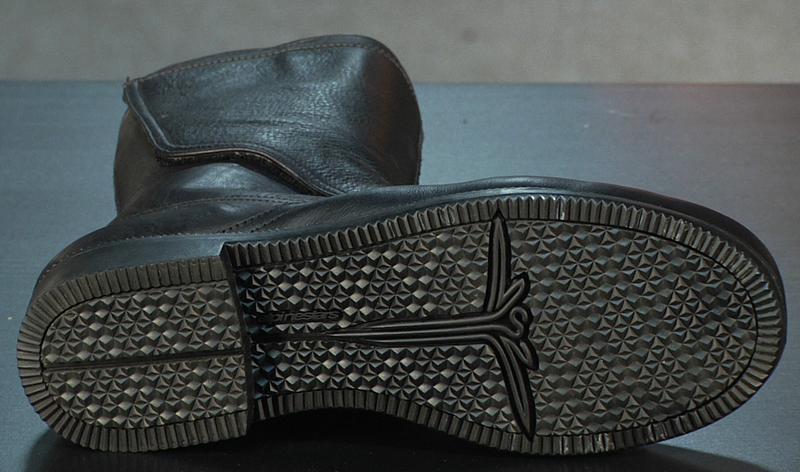 The EVA foam footbed, which is completely removable, provides a high level of shock absorption and protection from impact, while the unique 3D tread pattern on the rubber sole adds to the comfort and grip. 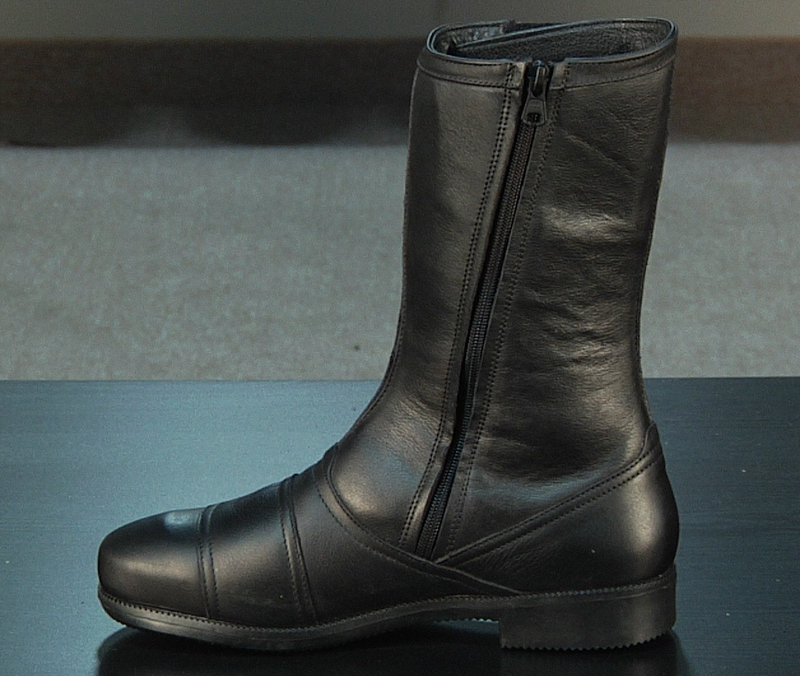 These boots will perform phenomenally for the sport tourer, city rider and commuter. We've heard reports from riders that these can be easily worn around town for multiple hours, at the office all day, and the comfort stays in tact. And of course, the clean design and lack of buckles and external hard parts, prevents anyone from ever knowing you've got a moto boot on. 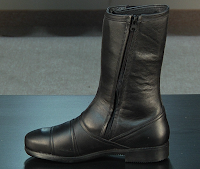 To see more options like the Soho Gore-Tex Boots, visit our Waterproof Motorcycle Boots and Alpinestars Boots sections.